A decorative chair is a special accents to our lives. But as our lives and styles change, a chair can begin to stand out for the wrong reason. 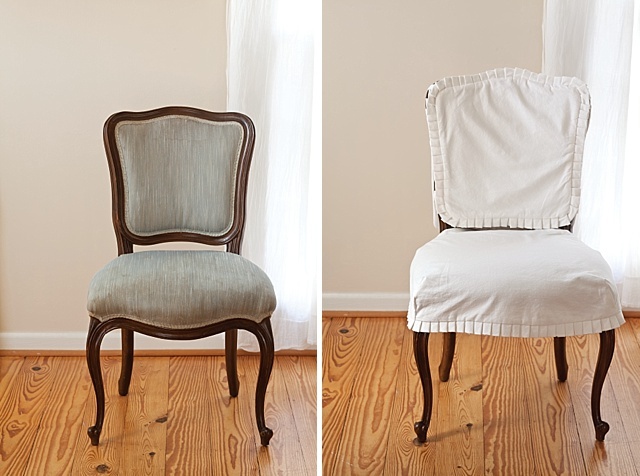 Before taking on a complete chair refurbish project, consider an easy and elegant slipcover. 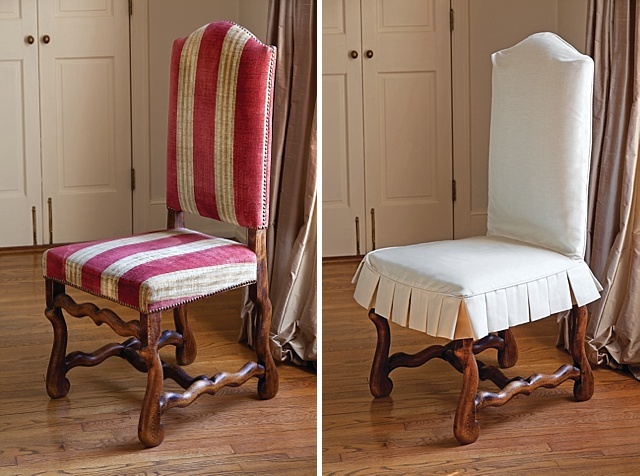 These three chairs are newly styled without causing damage to the original fabric. A chair with an upholstered back, seat, and open arms is known as a fauteuil. 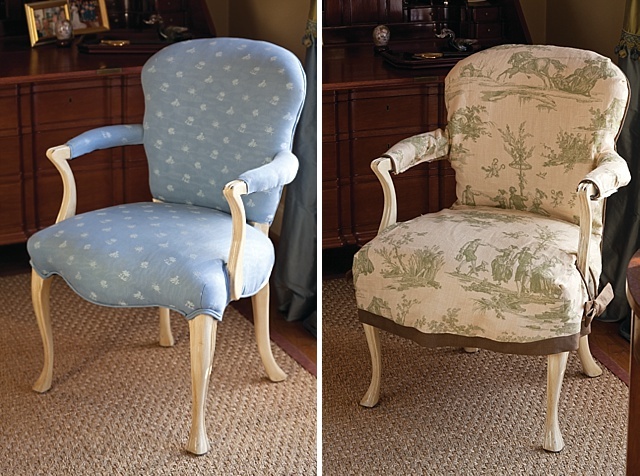 This example is updated with a slipcover made of cream-and-green toile linen. Brown linen was selected for the trim around the skirt as well as the ties that attach the cover to the chair legs. The red-stripe upholstery shown on the “before” version of this straight-back chair is lovely, but the owner decided there were times when she wanted a softer palette. So she used cream-colored linen slipcovers for a casual but elegant look. And now she has two looks for each chair. Originally, small armless upholstered chairs such as this were relegated to bedrooms to assist ladies putting on their shoes when dressing. Today, you will find them in any room that needs extra seating. To freshen the look of worn upholstery, separate covers were made for the chair back and seat. Tiny pleats encircle each piece.